After a 4-years-long renovation process, the scaffolding structure covering the Himeji Castle was recently removed, and the most spectacular of the 12 original Japanese castles (and the 8th on my list) recovered its greatness. 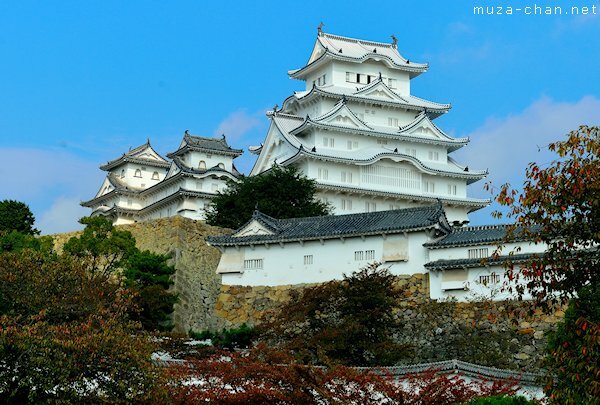 The castle’s walls are again perfectly white, justifying the castle’s two nicknames: Hakuro-jō “White Egret Castle” and Shirasagi-jō, “White Heron Castle". Simply beautiful!